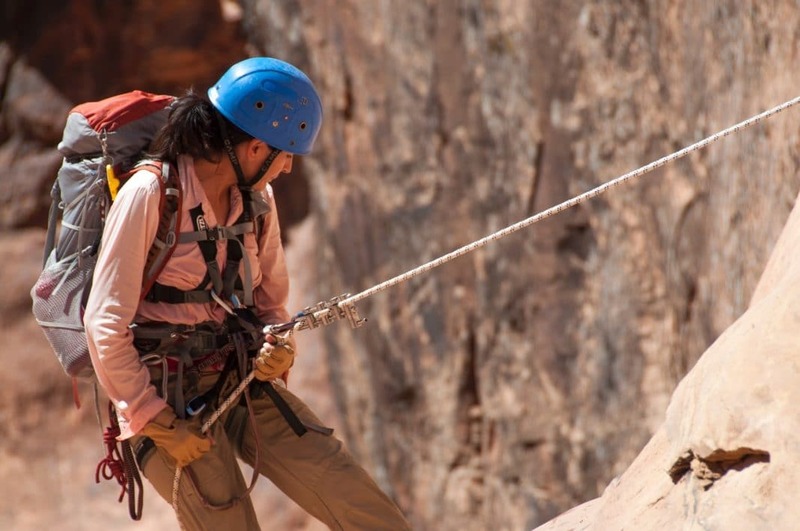 Before you consider yourself a rock climbing pro, there are a few things you need to know. So you have begun your rock climbing hobby and are starting to get into it. You might find yourself searching for new rock climbing gear in your spare time and your dreams full of imagining yourself finishing that route. 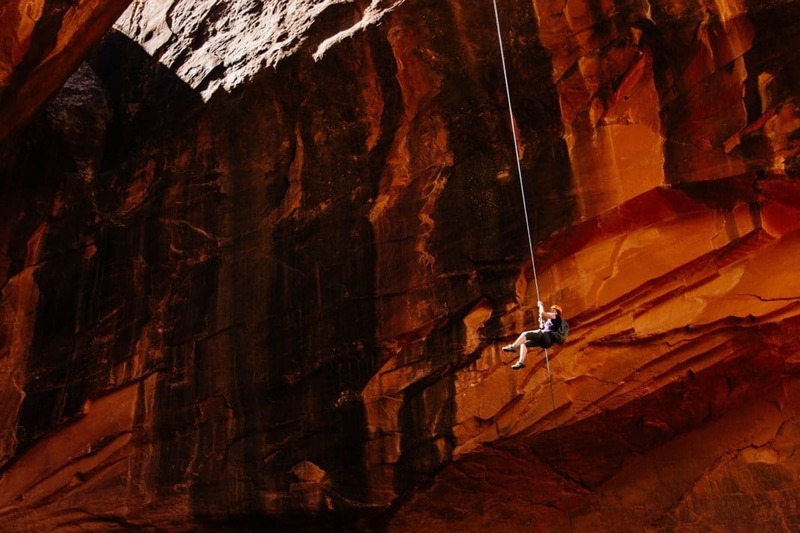 It is no secret that rock climbing is both thrilling and addictive. Of course, you need to make sure you have the right gear and the perfect place to rock climb. These are great ways to ensure your experience is continually enjoyable. As you progress, you may want to take your climbing game more seriously. If you are in a place where you want a visual idea of your skill level, as well as climbing goals to aspire to, then you need to learn rock climbing grades. Rock climbing grades give you that constructive perspective when it comes to route difficulty. They serve as a sort of guideline for understanding what to expect with various parts of the rock climbing crag. Whether you prefer bouldering, sport, or traditional climbing, knowing how to read grades is essential for understanding the lingo. Before you head out to climb again, check out this quick run down on the basics of the rock climbing grading system. Here is a foolproof guide to rock climbing grades. Many people partake in top roping, sport, and traditional rock climbing, which all utilize a rope and a belayer. These types of climbing use the same grading system, which incorporates similar ideals within each specific category. However, bouldering is sort of its own entity. 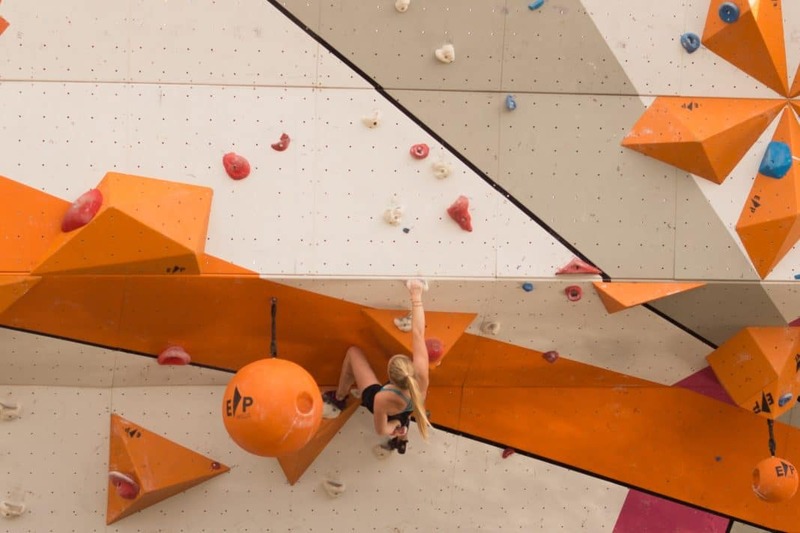 Just like bouldering is quite a different climbing style from sport or traditional climbing, the grading scale is also dissimilar. If you climb in an indoor rock climbing gym, you may have seen a bouldering section with various alphabetical and numerical markings on the routes. If this looks like hieroglyphics to you, don’t worry. We are here to help decipher the code. The sport of bouldering uses what is called the “V” scale. This Australian categorization is an open ended way to rank the difficulty of bouldering problems. As you would expect, the scale begins at 0, and goes as high as necessary. Currently the bouldering sport includes problems at a V17 level. If you have ever attempted bouldering, you know that this level of climbing is no small feat. Keep in mind that this grade scale, as every other one, is relative. Each rock climbing gym and guidebook offers an idea of the difficulty of the problem, but obviously it is based on personal opinion. This is why you might be able to climb a V4 route at one gym and struggle with a V1 at another. Don’t be discouraged, the numbers aren’t everything, after all. Top roping, sport, and traditional climbing all use the same grading system layout, which helps when determining the details of a route. This type of grading falls within the larger scale of the Yosemite Decimal System (YDS). Originating in the Sierra Nevada region in the 1930s, this system greatly aided early mountaineering projects. The Yosemite Decimal System is a specific mountaineering system used to grade the difficulty of outdoor projects. This includes everything from walking, hiking, mountain climbing, rock scrambling, and, of course, rock climbing. Classes 1-2 include simple outdoor activities, such as hiking. Class 3 classifies moderate rock scrambling, while Class 4 involves more serious scrambling. Class 5 is the category that encompasses rock climbing grading. The Class 5 grading system is a numbering class ranging from 5.0 to 5.15. From 5.9 up, the ranking divide more specifically for a better idea of the grading. These use alphabetical letters as well, such as 5.9a, 5.9b, and so on. Rock climbing is an exciting activity around the world. Of course, with its wide international reach, there are a few variations to keep in mind when it comes to climbing grades. While most of the world considers the Yosemite Climbing Scale the ideal way to categorize rock climbing, certain countries are more particular. The UK and France occasionally use different ways to determine route variance. These include the BMC and UIAA scales. The BMC combines both the adjectival and technical grades for rock climbing. The adjectival portion grades the overall challenge of the climb. This range includes: Moderate (M), Difficult (D), Hard Diff (HD), Very Difficult (VD), Hard Very Difficult (HVD), Severe (S), Hard Severe (HS), Very Severe (VS), Hard Very Severe (HVS) and Extremely Severe (ES). The technical part offers insight on what is the most difficult part of the route. The rank terms are as such: 4a, 4b, 4c, 5a, 5b, 5c, 6a, 6b, 6c. The UIAA is commonly used in France. This structure has changed over the past 150 years, and is now known as the UIAA scale. The open-ended scale originated within the mountains of France, as the early climbers began to develop the sport. Both indoor and sport climbing prefer to use this scale. This method of measurement combines letters and numbers to conclude the difficulty of the climb (ex. 6a). As you learn about and improve on your climbing grades, don’t forget to have fun in the process. Rock climbing grades are the best way to have a tangible representation of your personal climbing progress. They also help with safety, as you have an idea of your personal abilities. This aids in preventing taking on routes that are far beyond your skillset. 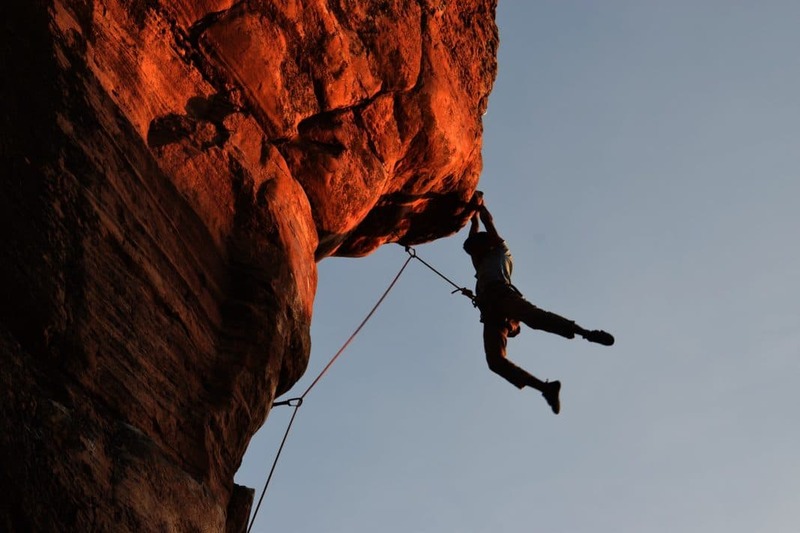 If you do not yet know your average rock climbing grades, try a few different routes out as you climb. Start with lower ranking ratings for an easier climb and then work your way up from there. Of course, as you do this, don’t let yourself get so caught up in the numbers. When you know and understand rock climbing grades, it is easy to begin placing a lot of focus on them. Oftentimes climbers let the route grade get into their head, which affects how they climb. Use the grading system loosely, and don’t be afraid to try something new. Tie your rock climbing knot and get out of your comfort zone, you just might be surprised by the results.